It’s February 2nd, several things are occurring today. One the groundhog, Phil did not see his shadow today. Of course a whole lot of people are not happy at the idea of a long winter. The Farmer’s Almanac predicted that this winter would be long. So, far, its been right. Tonight its Superbowl night – its the Seattle Seahawks against the Denver Broncos. I’ve decided to root for the SeaHawks. This afternoon is to set up at Fieldstone Winery for a new artist of the month, Detroit artist, Michelle Tanguay. Make sure you visit her website at www.michellegracetanguay.com. 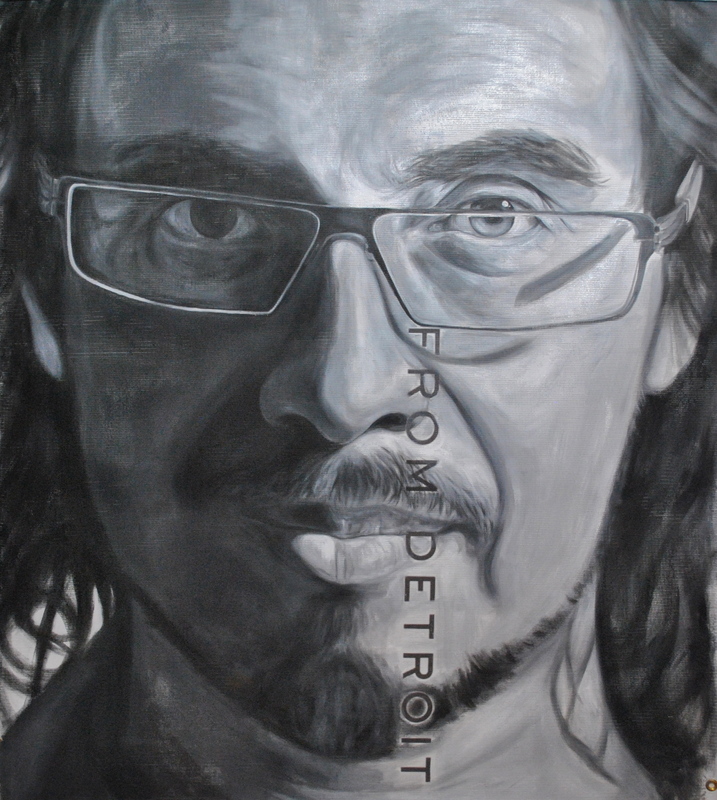 The series at Fieldstone Winery comes from her black and white pieces titled, Face to Face. They represent individuals from all walks in Detroit who have agreed to pose for her. The artist reception is Saturday, February 22nd, at Fieldstone Winery from 6 to 9 pm. Its free and open to the public. Next month for March, the artist I am honored to represent is Janet Almstadt-Davison. Janet s a retired high school art teacher who now continues to teach and produce her own art work. She works in all art media and shows her work in solo shows and competitions. 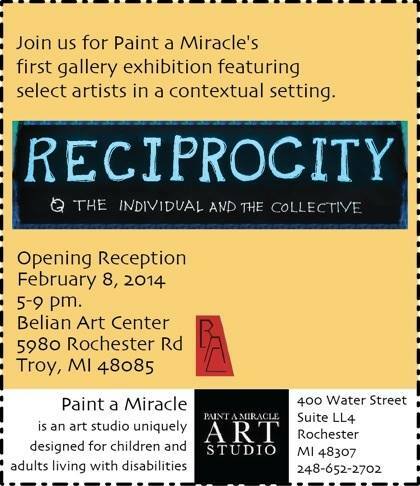 Don’t forget this Saturday, February 8th is the Opening Reception at Belian Art Center for the not for profit organization, Paint A Miracle. I am still working on the dog vest. It is cold in the basement. Even with my little heater, I can only stay down there about a couple of hours. I hope to work on it more today. I have school work to do as well as to make pork and black bean chili for tonight’s dinner. It’s all good. I am hoping to hear back from tattoo artist, Jime Litwalk from Orlando, Florida who is coming up for the Detroit Motor City Tattoo Convention in late February. I’d like to see if I can get a tattoo from him. We’ll see.